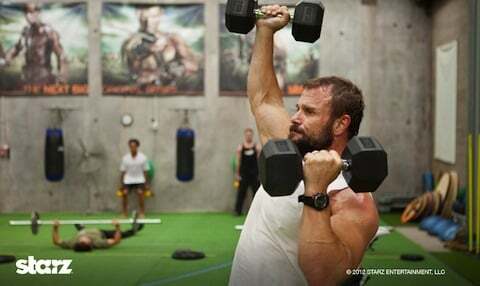 The long wait for the next new season of Starz' gladiator-focused drama series Spartacus was made a bit easier earlier this month when some photos of the cast working out and getting into shape for next season made their way online. Today we have another look at what the cast is going through in an effort to bulk up for the new season. This includes a video of Liam McIntyre, Manu Bennett and Dustin Clare flipping tractor tires and lugging bags of sand. We have until January 2013 to wait for the third season of Spartacus to air. The cast is apparently working very hard to achieve the rock-hard bodies we're used to seeing in the series. This includes some serious training, as evidenced by the brief but excellent video below, courtesy of the Spartacus Facebook page. 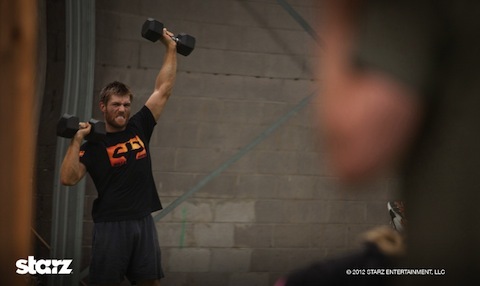 They also shared some photos, which give us a look at some of the weight training the cast is doing. Liam McIntyre's working hard, and the gorgeous Ellen Hollman (Saxa) looks especially fierce as she works out. I'm excited to see what kind of role Saxa plays in the coming season. 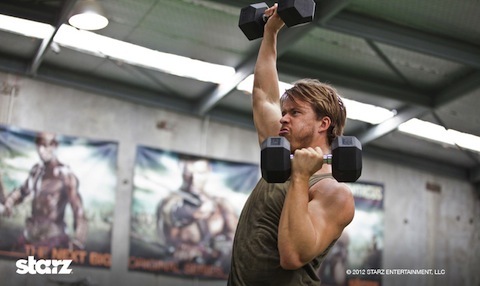 And this is Spartacus newcomer Todd Lasance, who's set to play Ceasar in Season 3. Perhaps this is an indication that he'll be getting in on some of the action next season? Finally, here's Barry Duffield, who plays Lugo, one of the men in Spartacus' rebellion. I love that they're surrounded by Vengeance posters. Seems like effective motivational visuals!